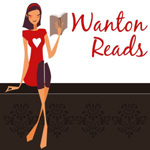 See our favorite links of Books, Articles, Blogs, Counseling and Coaching Services, and other related links to the consciousness of the Health and Well-Being of our Enteric Nervous System, the Gut Instincts, and a positive view of Human Nature. Also you are welcome to submit a URL for consideration on our links page. We are happy to announce that our newest book titled Increasing Intuitional Intelligence: How the Awareness of Instinctual Gut Feelings Fosters Human Learning, Intuition, and Longevity is now available on Amazon. 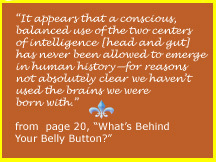 INCREASING INTUITIONAL INTELLIGENCE: How the Awareness of Instinctual Gut Feelings Fosters Human Learning, Intuition, and Longevity (published October 11, 2015) is written as a companion to our first book that was published in 2011, What's Behind Your Belly Button? A Psychological Perspective of the Intelligence of Human Nature and Gut Instinct. It is a response to the readers who have asked us to share more on how the knowledge of uniting Human multiple brainsgut and headaffects current theory and practice in a number of subject areas as well as life experience, wellness and longevity, and the evolution of mind. 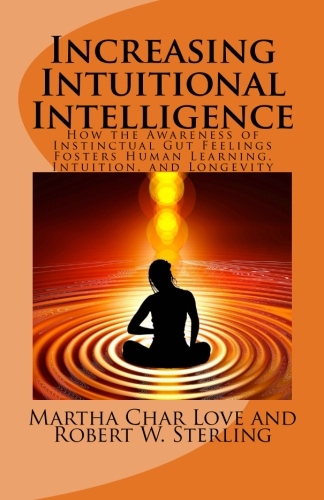 We have selected the title Increasing Intuitional Intelligence because the ultimate goal of our lives' work as counselors and educators has been to increase human intelligence through the development of the intuition using the Somatic Reflection Process, which they first created in the 1970s. We demonstrate that Intuitional Intelligence connects instinct and feeling (our unconscious) with reason and sensory input (our conscious mind) and is brought forward in our awareness as insight and intuition for creative life. We view Intuitional Intelligence as the link to our awareness of our Human Nature and the ability to be aware of our unconsciousour own inner state of being (self-awareness)and to being aware of the feeling state of others (empathy). We propose that it makes sense even to the logical mind that the first place to begin the work to increase one's intuition and Intuitional Intelligence is within our own instinctual feeling state, where the impact of life is registered in our gut feelings of emptiness and fullness. In Increasing Intuitional Intelligence, we demonstrate that the biggest mental health and educational problem today has been that most people in our modern world are not aware of the important role of the gut holding our feeling memory and registering how life is impacting us. We suggest that the feelings of emptiness and fullness that are felt in our guts and relate to how well our needs as human beings are being met have for so long been confused in our awareness with the feelings of emptiness and fullness that accompanies hunger. We point out that we have missed the awareness of this vital instinctual feeling gauge in our gut. Until this feeling awareness in the gut is recognized and time is spent becoming aware of our gut feelings and the impact of life upon us from early childhood, we cannot step forward in developing higher mind and Intuitional Intelligence. In this book the reader will look further at the process of education of our instincts from birth through old age and lay the foundations for evolving the higher intuitive mind and creative thinking. This book is particularly important for those in the field of education as the authors make suggestions for the education K through 12 of the two brainsgut and headas a uniting intelligence. We also explore our future Human selves and what it could bring to our species to follow our instincts and develop an increased awareness of our gut and head as a two brain united intelligence, fostering our intuition that leads us to advancements in the sciences, medicine, mental health, increased wellness and longevity, and even the development of human telepathic communications. You will find Increasing Intuitional Intelligence is divided into five main units that include chapters on the affects of consciousness of our gut instincts on many areas of life experience and are as follows: 1. Step One to Increasing Intuitional Intelligence! Educating the Gut Brain, Learning, & Childhood Development; 2. Instinctual Awareness and Its Affects Upon Longevity; 3. Gut Feelings and Intuitional Intelligence as Applied to Psychology; 4. How the Consciousness of the Gut as a Brain Affects Religion and Culture; and 5. How Uniting our Multiple Brains Affects Health and Wellness and the Medical Profession. What's Behind Your Belly Button? was published in 2011 and is available on Amazon. It may be bought as a gift for yourself or for a loved one looking for a hopeful view of humankind and a method for getting in touch with your gut instincts to reduce stress, cope with fear and anxiety, deal with health issues and make efforts to stay healthy, and to increase optimal problem-solving and life-decision making abilities. Please click on the image above to go to Amazon to view our book. Once you are viewing the book on Amazon, the "Look Inside this Book" feature will help you in your decision to buy this book, as you will have an opportunity to read a number of sample pages in the book and see if it speaks to you and your gut response. As this book is written for all ages of people, in good health or struggling with health issues, this book can be read over and over and used during a long period of one's entire adult life span to uncover the mysteries of one's human psyche that will put you on the path of healing and renewal. The theories in this book on the intelligence of the gut response are revolutionary, yet when you read it and explore your own responses, you will wonder why the field of Psychology has not identified these responses and the instinctive needs they represent long ago. "What's Behind Your Belly Button?" is not only a book that people can use as a self-help but it is also meant for professionals and students in Psychology and Neurology who are interested in new research on the gut instinctual response, the intuition, and a new image of the human species that takes in account the new medical breakthroughs concerning the relationship between the head and gut brains. What's Behind Your Belly Button? is written for an international audience and may be found on all international Amazon websites as well as here on The Book Depository (which ships free internationally to many countries including Australia). We also invite our international friends to go to CheapRiver.com and type the name of our book into the search, select your country, and find a comparison of prices selling our book, including shipping, to your doorstep. CheapRiver.com searches Amazon.com, Amazon.ca, Amazon.de, Amazon.fr and Amazon.co.uk to find the Cheapest Books for you. By selecting your country, it automatically includes the shipping costs to get the book delivered to you. As CheapRiver uses the current exchange rates, it let's you take advantage of changing exchange rates and shows you the cheapest option to buy the book from your particular country. Now you may be wondering what the connection is between the URL name of this website, CareerStoreFront, and our website title, Gut Instinct: A New Image of Human Nature. While working as career guidance counselors, we found that people seeking assistance with career exploration needed to first search within their deep authentic Self and consult their inner gut responses to discover the true meaning of their lives and to find direction toward healthy career and life choices. This website and its ajoinging blog site is a place to explore who we are as human beings (whether you are going through a career exploration period or not) and for everyone interested in the psychology of human nature and the new Gut Psychology that we present. We started this website in 2009 as a way to reach out to people who were hit hardest by the recession and struggling with the emotional difficulties of job loss. Since that time, we have updated the contents of this website to include an introduction to the book we have recently written in response to so many people expressing a need of further understanding their human nature and gut instincts to guide them in making healthy life decisions. We feel that with an understanding of our human nature and gut feelings, we can all be the benevolent and healthy humans we are coded to be in our DNA. We welcome you and thank you for visiting our website. We suggest you read through the material slowly and check your gut response to what we are saying as you go along. We also welcome your comments and we invite you to both email us and join our blog. Let us know what your feelings and thoughts are about our books and join our conversation on gut instincts on our blog! Please remember that when you go to our blog link above, you will be going out of this website and to our separate blog site. If you would like to return to this one, just hit the back button. Once you have read through a few of our letters and articles, please set up an account and join in the discussion. Our blog is setup to give a place for the exploration with others of the work that we have done with honoring gut instinctual feelings as a guide for healthy living and the exploration of human nature and Intuitional Intelligence. We invite you to participate in our blog if you are interested in exploring the essence of human-ness and how we might follow our instinctual gut feelings  the signals of emptiness and fullness in our guts  to emerge again as vibrant and healthy beings in tune with our caring natures. If you find these keys begin to help you understand your inner feelings, you will find both of our books engaging and a self-help to understanding who your truly are and how to listen to the voice of your gut to have a healthier and more beneficial life experience with a relief of stress and an increase of Intuitional Intelligence. If you do not understand these keys as presented, then that is totally understandable as these ideas on gut instincts are new in psychology and many are being presented for the very first time in our books. You may wish to read our books as they both present these keys in depth and will certainly give you much more informaiton to help you understand these concepts and apply them to your own inner awareness of yourself. 1. The gut is the instinctual response center and we feel either empty or full or somewhere in the middle (imagine a gas gauge) in our gut at all times. 2. We feel full when our instinctual needs are met and empty when they are not. We are talking not just about food intake (although the feeling of emptiness and fullness in relation to food intake and psychological instinctual needs are interestingly similar and we do get them confused and thus may over eat to try to fill the emptiness we feel psychologically). We are talking about psychological instinctual needspsychological not in the use of logic but in our needs as human beings. 3. We have two instinctual needs that the gut gaugesthe need to feel accepted and the need to be in control of our own responses to life. These two needs must be constantly in balance. Too much of one without the other leaves us empty. 4. When we have both of these instinctive needs met, we feel full and thus energized; and when we have neither met, we feel empty and often experience some symptoms of stress in the body like feeling lethargic, anxious, overwhelmed, disconnected and alone. 5. The gut response does not depend on the thinking brain as the gut is an independent brain of its own (see Dr. Michael Gershons research), but of course it can be greatly affected by the thinking brain, and vice-versa. 6. We work both consciously and unconsciously to keep these two instinctual needs in balance at all times. 7. At best, we need to have a balanced and conscious dialog between our gut responses and head response so we can use our thinking brain to make the appropriate responses in the external world and try to fill these two important instinctual needs in appropriate and successful ways. 8. When we are unconscious of our gut responses, our thinking brain will often use a system of thought it has picked up (perhaps from an authority like a parent, teacher or even a religious interpretation) and applies it as a judgment about the feeling in our gut. This is what happens when we have an emotion like guilt or depression. We feel empty because our needs are not met and our thinking brain attaches a thought to the emptiness and lack of our fulfillment like It is all my fault for being too stupid or too small or too incompetent, etc. or I am not capable of doing anything to make this work or be better or "I am not worthy or deserving", thus we have guilt and or depression feelings. 9. The emotional feelings are not pure feelings of emptiness or fullness anymore, as they now have the thinking component mixed in them. And these thinking-feelings or emotions are mostly felt in other parts of our bodies above our hara, between our head brain and gut brain. If you look into your emotional feelings, you can always find a thinking element to them. And if you trace the feeling aspect only, it goes directly and purely to the gut. For as we have said, the gut is the source of all feeling. 10. Generally, the only way we can unravel this tightly woven thread of inaccurate thinking judgment and resulting emotional stress, is to reflect back to the source of when the thinking head first applied this very same judgment and find the actual source or as close to it as possible. And the key to finding this first experience is through reflection on the gut feeling of emptiness and fullness, not through thinking back on the details of our lives. 11. Once we find this original experience in which we started the tape that plays over and over in our heads that we are all at fault, powerless, too needy, unlovable, etc., then we can lift the sentence we have placed on ourselves and our feelings and begin to see ourselves clearer and make healthy decisionsbegin to use our thinking head to follow our instinctual needs and fulfill our true human nature. 12. Reflection on the gut voice helps us to be more mindful of our caring nature and thus be more caring for others. And with the new awareness of our gut responses and needs that we acquire through reflection on our instinctual gut responses, we are able to live a more caring and healthy life with the thinking head finally conscious and listening more clearly to the responses of our most reliable and authentic selfour gut instinctual feelings in our body. Today is felt to be the most complicated day in our lives and rarely in trying to deal with the issues of today, are we aware of the impact of the past on those issues. As we try to sort through the details of what is going on around us, we are often unable to see a clear positive path into the future. It seems no matter what we do to take action on the issues the same empty feeling persists or reoccurs and the actions seem only to further complicate the issue, leaving the emptiness to be dealt with later on." It seems to be quite natural for us to try to figure out what is bothering usto understand what is going on. Usually, as long as we keep the reflection to ourselves, we continually see the details and fail to find the meaning of the issue. Even though we reach out to a friend and ask for attention around the details of the issue, we may gain little or no insight into what is bothering us. Often the attention we get is sympathy for having to deal with the details of the issue. We become quite confused about ourselves and we get hostile at the one to whom we have asked for help and have gotten sympathy. Such an experience with another person focusing on details, serves only to leave us feeling more empty and alone." As we comb through the piles of details of the past, we know in our feelings that the details werent the meaning of the experience. Somehow through the external judgments we used in the assessment of the experience, we become too confused to understand this clearly. As a child, we often move into action with our instinctive feelings, often with no logical motive. Others who observe our actions are privy only to the details and often make judgments about us from what they can perceive, without an understanding of our feelings." If we enter experience from our instinctive feelings, we must assess the meaning of the experience from the original feeling needs involved. We must exclude other external logical judgments if we wish to understand clearly what our behavior means. Only by such a reflective processreflection with the inner gut feelingsis the confusion eliminated." When we can push the details of the experience out of our awareness, we can turn into the awareness of ourselves and reflect on our inner feelings. It is when we can do this that we are able to see the relationship of the confusion of the present to the issues and the feelings of the past. It is only through the process of reflection on our feelings, triggered in the confusion of the present, that we can begin to understand the sources of the feelings that are causing the confusion. By dealing with these past feelings, we may begin to arrive at some understanding with what we are dealing in the present moment." These feelings accumulated from our past, rather than the details of our lives, seem to be the accurate record of the impact of our life experience. Until we perceive these early childhood feelings as acceptable, the patterns that develop with time constantly interfere with our understanding of ourselves in the past. Not until these feelings are validated by another person as acceptable human feelings can we let go of the past and put our full energies into present experience." Fear, guilt, hostilitywith an underlying emptiness feelingtriggered in by our present experiences are signals telling us that there is a need to reflect upon the past issues up through time in order to free ourselves from the past unresolved feelings about ourselves. The surface logical feelings of guilt and fear signal to us a conflict between what we think and what we feel about ourselves. A conflict or lack of communication is going on between our gut feelings and logical thinking brain. On the basis of our feeling awareness, the reflection up through time shows us the necessity for the actions we have taken." "What's Behind Your Belly Button? "is Available on Amazon internationally. What's Behind Your Belly Button? is a narrative of the maturation of the sciences (Psychology and Neurology) and our combined experience, all of which started to take form in the 1960s with the unrest of youth over the Viet Nam warthe era of give peace and love a chance. In the 1970s, the we were involved in a college occupational and academic counseling-teaching assignment, dealing with the aftermath of the previous era of changes in society and integration of the Black and White cultures. Having no effective references with which to work, we used a personality inventory (the Myer-Briggs Type Indicator) based on the work of Dr. Carl Jung. Experience with groups and individuals soon allowed feelings of the students involved to surface at a variety of levels, which were centered on personal disturbances of their pasts and were not defined by the inventory. Hours of study of what we were learning from students, suggested that we were tapping into genuine universal instinctive feeling intelligence, primarily focused in the gut area of the body. In 1998, neurological research at Columbia University published the work of Dr. Michael Gershon that identified the enteric nervous system as a center of feeling-intelligence in the gut, which he called the The Second Brain. We carefully examined this material and accepted the research findings as pointing to the same universal feeling intelligence we experienced in counseling with hundreds of people. Utilizing the research of Dr. Gershon, the work of Dr. Lise Eliot who charts the development of children from conception through the first five years of life, recent research of our own in the Psychology Department at Sonoma State University, and our vast clinical experience, we have presented an interpretation of recent medical research into a new Gut Psychology and a more accurate behavioral understanding of the Self and human nature than has previously been available. We share a complete protocol and results of clinical research findings for the Somatic Reflection Process that we have created and used successfully, with ourselves and hundreds of people, to assist the process of getting in touch with the voice of the gut and learning to follow its wisdom toward a healthy lifeunifying the body-mind split in the individuation process. Over a period of 45 years, there has been a utilization of further graduate studies in Depth Psychology and Religious Education on our part, and giant steps forward in the fields of neurology and human psychology, which help form a new more accurate image of human nature. We present this new image of human nature and the meaning of its understanding in making positive changes in our lives, both individually and collectively as a species. We suggest that we are at the beginning of a Renaissance in human consciousness and that understanding our true human nature is the way to thrive in this present era. This book also discusses the implications of this new image of human nature in education and for rehabilitation of those incarcerated. We suggest that early in the child learning process, care be taken to offer the experience of freedom and acceptance to the preschool child to form a positive self-concept and to self-regulate his and her behavior as part of the learning process in becoming a loving, caring person. After careful examination of lifes processes, we conclude that of all the mammals in the animal kingdom, humans seem to be the only species that has been denied the open use of their natural instincts. Out of ignorance, fear or wanton control by otherswe are denied the use of the brains we were born with. This awareness is of growing concern since the absence of the use of the feeling intelligence of the body interferes with a major stabilizing forcebuilt into the human systemthat can affect human behavior, provide a sense of well-being, and the ability of the body to combat stress and dis-ease. In the 70s, we worked as both counselors and instructors in a large community college, Santa Fe Community College (SFCC), in Gainesville Florida. It was a very different time in the field of education than it is today. Experimentation of learning processes in the classroom was not only possible, but also encouragedat least in many schools around the country. It was an era prior to the deluge of lawsuits that closed the doors to experiencing the spontaneity in the classroom necessary for the exploration into the inner worlds of human feelings. Some very forward thinking educators, including Dr. Joe Fordyce, Dr. Terry OBanion, and Dr. Bob Shepack, to whom we will be forever grateful for the educational environment they cultivated, set up SFCC as an experimental humanistic oriented school. Their effort was to affect change in the process of learning in the Jr. College, in the 1960s, which created an environment of intuitive, in-depth, problem solving. We took them seriously at the time, and, with the help of modern medical research, today we have further validation of its pervasive value to our modern culture. We were fortunate enough to be there at the right time in human history to engage in an experience that brought on our discovery of the true inner nature of human beings and ground breaking clinical experience in the field of psychology involving the gut response center. Since we were instrumental in establishing and operating a career guidance center for the college, much of the early material in this book is our day-to-day experience in both the career guidance center and Behavioral Science classes, in which we were teaching, and in which learning about the inner nature of the person was being discovered and shared. We found, that in order to deal with the problems of career choice, people needed to first deal with the understanding of the authentic Self and its concepts. From this approach, we developed a methodology for access to the inner instinctive processes, where the impact of lifes experience resides, and where the energy towards individual goals is foundnot in the goals obtained from external authorities. Such an impact of experience provides the energy, the life drive for the adult, which is closely related to the excitement experienced early as a child. The process by which inner awareness of the Self is experienced is the theme of this book. This process is learned through the persons own experience of himself, not by way of formal education. It is available to all persons who seek to become aware of the Self that lies fallow in the instincts of all human beings. It is, therefore, a process of becoming more aware of what we already, subconsciously or consciously, know about ourselves. We have developed a functional model for Self-awareness by the individual rather than an observational model for a helping profession. In holding and supporting this functional point of view, we are concerned only with the inner experiential Self-awareness point of view of the person. This task is the essence of the problem for each individual life in experience. Each person is faced with keeping track of his own inner feelings about himself while dealing with the outer judgments of others about his observable behavior. There seems to be many counter productive folkways and morays that conflict with instinctive human needs. These habits of thoughtless logic, conceived long before our time, have produced images of human nature destructive to the health and welfare of all ages. We cautiously discuss some of these issues relative to common knowledge now available. Chapter One. We introduce the reader to the discovery of the gut intelligence responses in our early clinical studies, as well as to the history and development of the Somatic Reflection Process (SRP). Much of this is a revision from our earlier writings, Borne of the Human Family, 1976, which we had published at Santa Fe Community College, Gainesville, FL, and used as a text for the Behavioral Sciences classes we were teaching. Our first book, Borne of the Human Family, is an explicit model and a methodology, introducing the Somatic Reflection Process, which makes a clear statement of the human ability in socialization: how to get close and not get lost. At the time of our counseling assignment, there probably had never been as pervasive and as deep a display of public feeling over a previous war. The Viet Nam war made no sense to anyone, particularly to the youth of this country who were conscripted to fight itthere was no creditable logic to support it. We offer this reflection of the time to suggest to many of you who were not present at that time, that the 70s was a time when there had been no affective emotional recovery from the war, and drug relief had set in, as an attempt to numb the upper brain and quell the emotions. This was a time of confusion for everyone, which, in one sense, made most of the counseling tools with which we had to work, obsoletemaking the task more difficult. But, in another sense, this unique situation made the students more eager to discuss their feelings, which encouraged us to dig deeper into our own feelings; all of which made the task more rewarding and more productive. Chapter Two. We introduce two major bodies of neurological research, which have emerged in the last two decades and is significant to our work and validates our findings concerning the gut response as a center of intelligence. The physiology of the source of somatic-feelings remained a mystery to us in our early study of human nature and gut instinctive feelings in the 1970s. We knew that the feelings, with which we were working, were stored in the gut as pure feelings without logical thinking attached, but we had no image of the specific source of the feelings in the human anatomy. It was not until recent years when we first read of some important neurological research, that a clear physiological connection was made and we understood it to be a validation of our early work. Chapter Three. This chapter introduces the concepts and principles transposed from the medical view to a basic psychologicalbehavioral significance. We demonstrate, as a result of our clinical experience and the results of the cited neurological research, that we are dealing with a quality of intelligence common and available to all human beings. We have found that when these two centers of guidance, head and gut, are in balance, they can offer greater satisfaction and stability to emotional experiences to both individuals and groups in all enterprises of life. We explore how somatic modalities like the Somatic Reflection Process are successful in reducing stress and may be employed as a healing process to reduce dis-ease. It is the purpose of our presentation to identify images of the head and gut that will help individuals discover awareness and balance between these two centers of intelligence, and, thereby, achieve a higher standard of health and satisfaction in their lives, and bring on a Renaissance to the human family awareness. When the individual achieves a unity of mind and body and the individuals instinctive inner needs are met, the person and culture benefit from a higher standard of ethics, morality, health and quality of life. Chapter Four. It is from the awareness of two centers of intelligence in the human being and in Gershons medical research and discovery of our two brains, that we view a new image of human nature necessary to take us into the 21st century and beyond. We describe the experience that understanding this new image of human nature gives to us and the self-awareness this knowledge brings in ourselves and in others to give us the perspective necessary to thrive as individuals during this difficult era of change we are presently living in, and thus assisting the growth of our humanity in making effective changes in our societies. The referenced changes include an essential greater awareness of the inner human nature, basic instinctive human needs, (Self-control and Self-acceptance), and the understanding of the need for balance between our thinking and feeling intelligence centers. We present a view of the development of a fetus and its development of the two intelligence centersthe thinking and gut brains, as well as the schedule of construction of the fetus and these centers, and its completion at birth. We also deal with the affect of the fact that only after birth, the construction of the head brain fully develops its tools (sight, sound, taste, touch, and smell), and discuss how these tools are of adequate quality depending on the stimulation of the environments to which the new born is exposed. We show that there is the built-in system in the human being capable of self-control and care for others without the influence of any outside control. We see these characteristics as the result of stability furnished by the presence of the two centers of intelligence working together providing self regulating feed-back with the upper brain, focused on the outside world, and the gut brain focused on the inner body functionsdigestion, and energy generation. We leave no question about, which is the most dependable center of intelligence. It is with Chapter Four that we prepare the reader for the understanding that the knowledge of the intelligence of the enteric nervous system is the bases for the development of a new Gut Psychology. Chapter Five. As you will see, the Somatic Reflection Process (SRP) is designed to purge the disturbance aspect of misunderstood experiences of the past, from continuing to distort experiences of the present, in order to increase confidence of movement into the future, by reflecting back to the source with feelings. This result requires the new image of human nature with its pure feeling, the elimination of pure logic of the upper brain, and the relationship between the two centers of intelligencefeeling and thinkingworking in concert. In this chapter we define the new image of humanity with intelligence in the head and a second center of intelligence in the gut. Chapter Six. This chapter is used to demonstrate and explain the intricacies of the methodology and protocol of the Somatic Reflection Process (SRP). One of the authors facilitated the SRP in an achedemic setting, in a research study with individual colleagues in her Masters Program in Depth Psychology in 2005 at Sonoma State Universitythe reflection is verbatim. Chapter Seven. This chapter is devoted to the evaluation of the results of Chapter Six. These results demonstrate the responses of the research participants in the SRP study and their gains of increased somatic awarenessincluding feeling better with more adequate sleep and relief of tension in the body; increased insights of problems and inner issues with a new perspective and awareness of inner needs, and increased feelings of self-acceptancea clearer understanding of them selves. Chapter Eight. This chapter, Natures Way, will probably be the most difficult for the reader, the strangest aspect of all to understand and accept. We have taken the results of experience and researchpsychological and medicaland formed that material into a new image of human naturean image of dual intelligences. In this new perspective, we have discovered the patterns of Naturean inclusive paradigm of Natures way that includes other sciences; then we intuit a coherent set of behaviors to be expected from humans with two brains instead of just one (from the boundary conditions permitted by the new paradigm). This was written in the years after our work together at SFCC and is taken from our two minds reflecting independently over a period of thirty-seven years on the same subjecthuman nature, then comparing notes and arriving at the same conclusions after the years of separation. Chapter Nine. Underlying the material in this chapter is the awareness of a change in psychology, a change from the disruptive psychology of external guessing of the meaning of human behavior, to an inner psychology of a dependable center of essential intelligence, which when consciously used is a stabilizing influence to human behavior. This center, located in the gut, contains the architecture for the Human design, the DNA, and the Human building plan, the RNA for the Human organism. It is in this same area that the animal instincts are found. However, the characteristics of the instincts have been miss used and miss understood, in the past, named as an evil aspect of the Human personality. The results of neurological and psychological research over the past fifty years now indicate that the consciously learned use of the gut intelligence provides behavior patterns that will lead to Self-Control and Self-Acceptancewith no need for external control or behavioral instructions. The combination of the Main brain with its central nervous system, and the ancient Animal Brain with its somatic, enteric nervous system in the inner bodyin the gutand the constant dialog between them provides a self-correcting feedback system, which regulates the behavioral qualities of the organism when consciously cultivatedpreferably in early youth. We examine the benefits of discovery of the second-brain voice of feeling in the gut, as opposed to the exclusive use of the upper brain in the head with its powerful thinking sensory skills. This combination of insideoutside intelligence balance provides for intellectual growth: problem solving, mobility, adaptability, intuition, and reflective clearing of past disruptive miss understandingsthat interfere in the presentwith emotional guilt, bursts of hostility in the present, and fear of the future. We discuss some of the institutional positions with its barriers to the dramatic changes that the educated use of the second brain imposes on the society. It appears that a conscious, balanced use of the two centers of intelligence has never been allowed to emerge in human historyfor reasons not absolutely clear we havent used the brains we were born with. Chapter Ten. This chapter discusses the new Image of human nature and its applications to educationK-12, as well as Rehabilitative Incarceration. peace on earth good will toward Men and Women, throughout the world. To reach this realistic goal we will have to place the environments of learning at the top of the agenda of things we must do immediately, and keep it there. Chapter Eleven. With the age of human nature now validated by the medical research of Dr. Michael Gershon, we are better prepared to fight dis-ease than ever before. It is important that we pay attention to this new consciousness of our two centers of intelligencetwo brainsso we can finally make decisions in our lives that care about the whole person, truly reduces stress in our lives, and provides the necessary levels of somatic and psychological nutrients to feed all our needs as human beings. We now can see that we have ignored our humanness, our human nature, and this has led us to great amounts of dis-ease and discomfort. But we live on the cusp of a Renaissance in consciousness of who we truly are and,thus, we can now begin to thrive in this exciting age of our humanitys journey toward a greater life and a more fundamentally intelligent evolution of our species. Chapter Twelve. In this final chapter, a summary is offered of the cultural and individual importance of following the gut instinctive feelings as a systematic experiential practice that will engender positive states of mind, as well as recapture and utilize the gut response as a dependable center of reference for life decision-making, health and well-being. CONTENT OUTLINE of What's Behind Your Belly Button? We invite you to go here read the first page of our introduction (you will be leaving our website to go to a blogger page) and feel free to make comments. All copyrights @ reserved on writing content on this website and all material used must be accredited to our authorship.